Roero Arneis Sito dei Fossili is made exclusively from pure Arneis grapes, matured in vineyards in the township of Castellinaldo (Cuneo). Its name derives from the discovery, in the area nearby, of fossil remains of leaves, fish and larva. 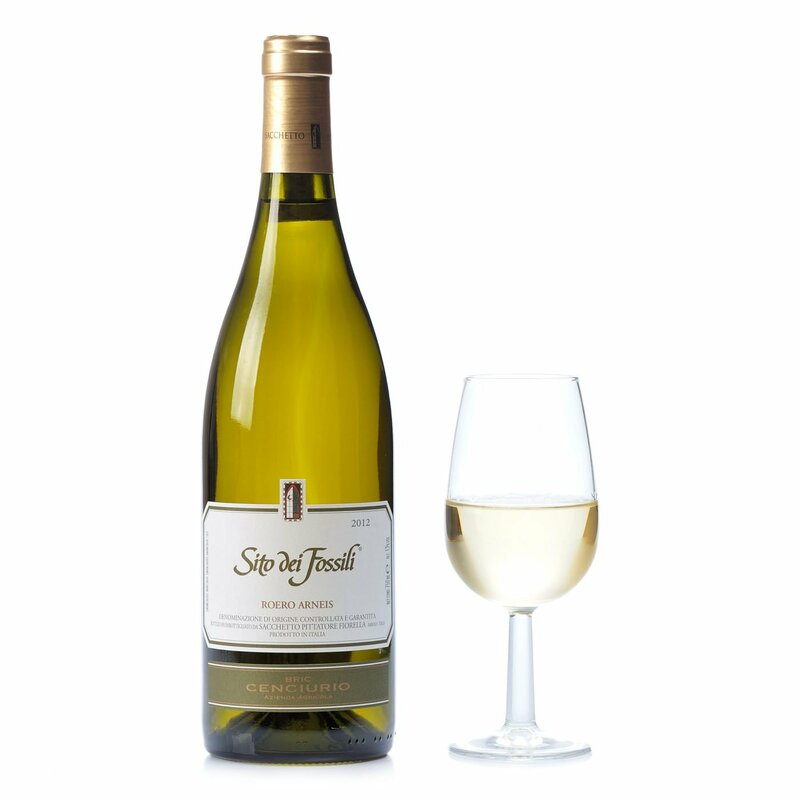 A bright straw-yellow colour with greenish tendencies, on the nose it proposes elegantly fine perfumes: white flowers, fresh fruit and hazelnut. Dry and subtly acidulous on the palate, with ample persistence and a delicately bitter aftertaste. Alcohol: 13% vol. Outstanding with meat and fish main courses and with matured cheeses. The winemaking company Bric Cenciurio was founded at the beginning of the 1990s by Franco Pittatore and Carlo Sacchetto, when they decided to unite and extend their landownings with a view to creating high quality wines. The company is based in Barolo, among the rolling hills of the Langhe area, and takes its name from the Cenciurio hill in the township of Castellinaldo. Supported by the experience of the oenologist Gianfranco Cordero, Bric Cenciuro's vocation is to keep traditional winegrowing wisdom from previous generations alive, with the conviction that hard work in the vineyards and the minimum possible use of synthetic chemicals are vital for preserving wine integrity.